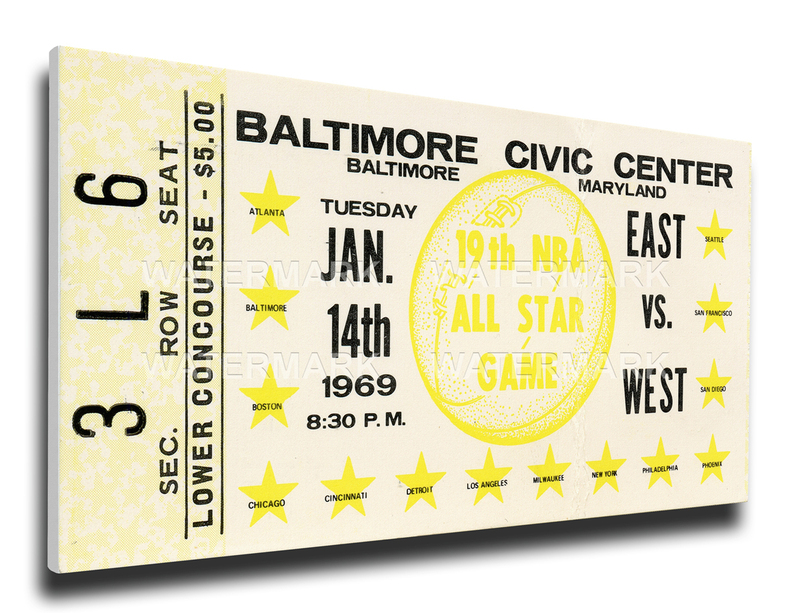 The NBA All-Star Game was played at the Civic Center in Baltimore. The East beat the West 123-112 before 12,348 fans. Oscar Robertson was the MVP he was the games leading scorer with 24 points. Last week at the library I was talking to a patron about it being the 50th anniversary of Super Bowl III and the patron said he was in Baltimore at the time for training for his job and that the people in town were stunned over their Colts loss to the Jets. He also said he got to see the NBA All-Star Game. He went down to the box office that evening to get tickets to see John Havlicek- a local boy from our area play when the Celtics came to town and was surprised to find out there were still tickets available for the All-Star Game- they were nose bleed section tickets but for $10 he got to see the game- and some of the all time great players- The Big O- Oscar Robertson, John Havlicek, the greatest of them all Bill Russell, Wilt Chamberlain, Earl The Pearl Monroe, Billy Cunningham, Elgin Baylor, Jerry Lucas, Hal Greer, Wesley Unseld, Willis Reed, Dave Bing, Lenny Wilkins, Sweet Lou Hudson and Jerry Sloan- all future Hall of Famers. Jerry West was injured and did not play in the game. 27 members of the U.S.Navy were killed after an explosion aboard the aircraft carrier USS Enterprise near Hawaii. 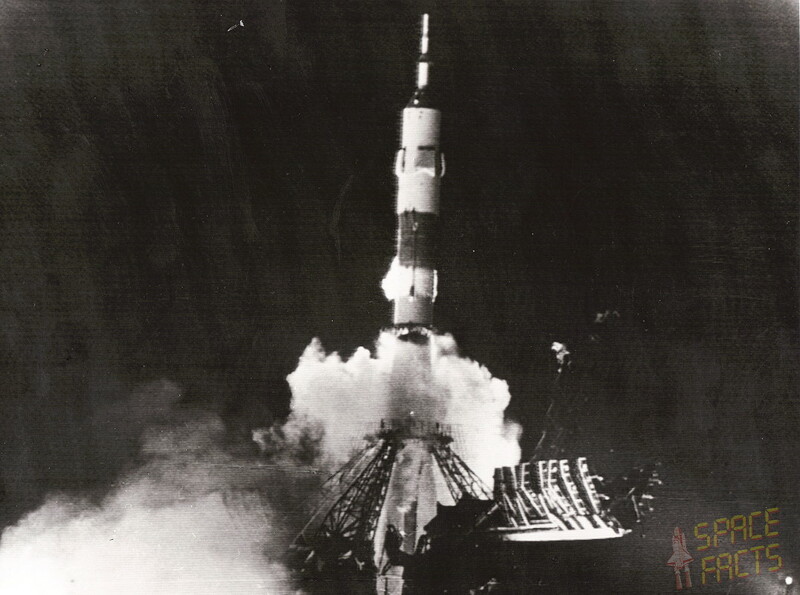 The Soviet Union launched Soyuz 4 and for the first time actually put the film of the lift off on Soviet Union television on the same day it happened. Cosmonaut Vladimir Shatalov was on board the Soyuz 4 rocket. The telecast of course wasn’t telecast live on Soviet television but within 90 minutes. The Soviet government wouldn’t broadcast live of course in case something bad happened. Wouldn’t want that kind of things to get out. An American spy named Morton Sobell who was serving a 30 year sentence for being involved in a conspiracy to sell atomic bomb secrets to the Soviet Union- was released after serving 17 years in prison. Sobell had been incarcerated since 1951. Sobell didn’t admit his guilt until 2008. Sobell is still living- he’s 100 years old. The mastermind of the British Great Train Robbery Bruce Reynolds was sentenced to 25 years in prison as part of a plea bargain. 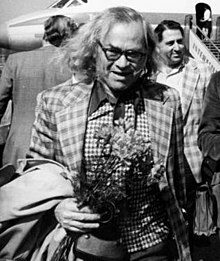 He would be released in 1979 and died in 2013 at the age of 81. 50TH birthday’s today- born on January 14, 1969- Dave Grohl who first gained fame as the drummer for Nirvana and then as the founder and frontman for the Foo Fighters was born in Warren , Ohio. Nirvana is in the Rock and Roll Hall of Fame of course. Grohl has a reputation of being one of the nicest guys in the rock music scene today. Also 50 today is actor Jason Bateman- who has starred in a number of movies and television shows- including Arrested Development and his current hit show on Netflix -Ozark which he also directs. He is married to Paul Anka’s daughter Amanda. I was just reading about the Enterprise explosion. Amazing the talent at that all star game. Living close to Baltimore, I wonder if the Civic center mentioned is what is now called Royal Farms Arena – from the state of it, just might be! Also, although born in Ohio, Grohl grew up in the VA suburbs of DC and is considered by us a local hero! I wondered about the Civic Center if it was still in existence. I just checked it is the same place. An old building but I guess without an NBA team now and no NHL no big push to replace it. I was surprised to hear it was still standing.